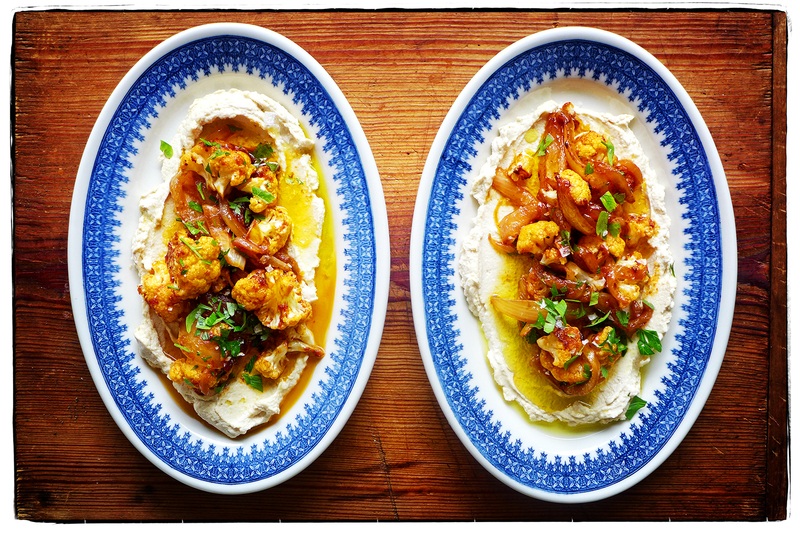 Yesterday we got ready for the unofficial end-of-summer-week and whipped up a batch of our friend Michael Solomonov’s 5-Minute Hummus from his “almost” hot off the press book—Israeli Soul: Easy, Essential, Delicious, Rux Martin/Houghton Mifflin Harcourt (October 16, 2018). Now that we have our stash, we can dress it up with different toppings. Today we sautéed sliced onions and cauliflower in olive oil with a little fermented chile paste, then tossed in some fresh parsley leaves, added a sprinkle of sea salt, and a drizzle of olive oil. A pretty exotic lunch for little old Milford, New Jersey. Let’s keep it going, there is plenty more hummus!